Synopsis: After a long absence, the Joker returns to Gotham to terrorize Batman once more. 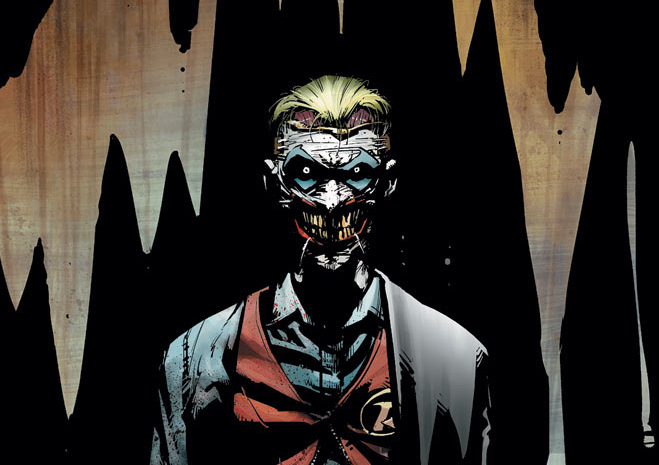 This time, the Joker sets his sights on the Batman family of superheroes and has plans to tear the team apart. The Comic Spot has been away for a while, but we’re back with the continuing saga of Batman’s New 52 and Volume 3: Death of the Family. While the previous two volumes dealt with the Court of Owls, this one kicks off a new story and represents the first appearance of the Joker in the New 52. This was the volume that got me to pick up the previous two. I got one look at the new character design and I knew I really wanted to read it. Truth be told, this volume, while it has its strong points, is a little underwhelming. The story branches out to the other comic lines, so this one on its own is quite incomplete. It’s a bare bones story and will continue to feel this way until I venture to the other stories. This volume is just one piece of a bigger puzzle, so it’s hard to say that this story holds up to the previous volumes. I like what the Joker is doing here; his actions are sick, twisted, and I like the small scope of it. He isn’t interested in Gotham, he’s simply trying to break the bonds between Batman and his family. I like the fact that the plot managed to incorporate guys like the Penguin, the Riddler, and Two-Face, but they essentially didn’t have much of a role. 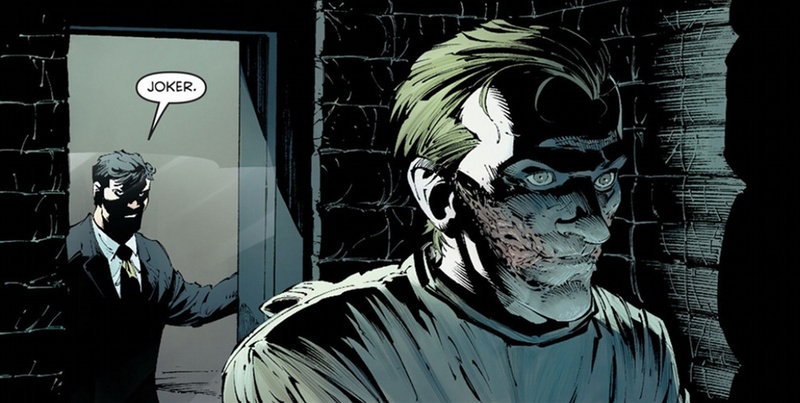 Still, the strongest part of the Batman New 52 is the artwork. It’s consistently top-notch, though admittedly, this one seems to breeze through the action. A handful of times, I found myself having to draw conclusions to what was going on; it grew to be a little more abstract than what I prefer in my comics, but still beautiful to look at. 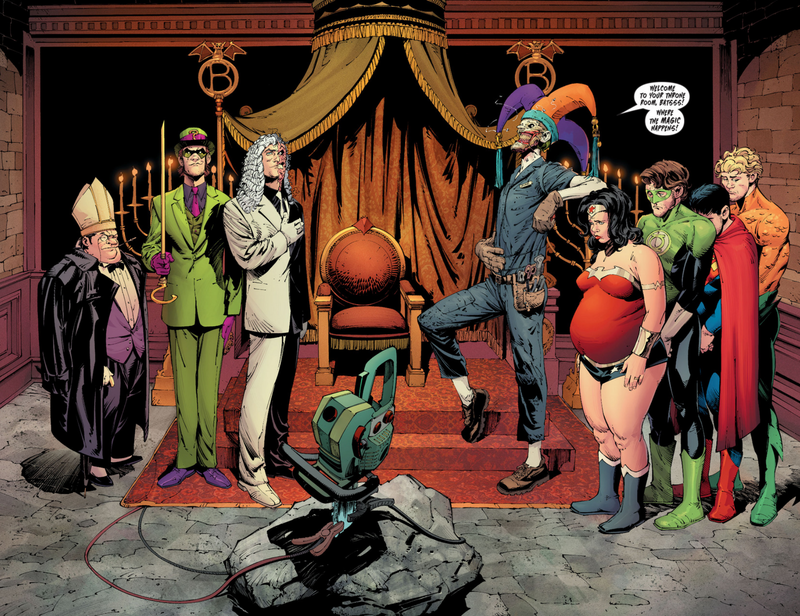 The previous two volumes dealt primarily with the legacy of the Waynes. Here, we’re concerned more with the present and the relationships that Bruce Wayne and Batman have cultivated since he donned the cape and cowl. 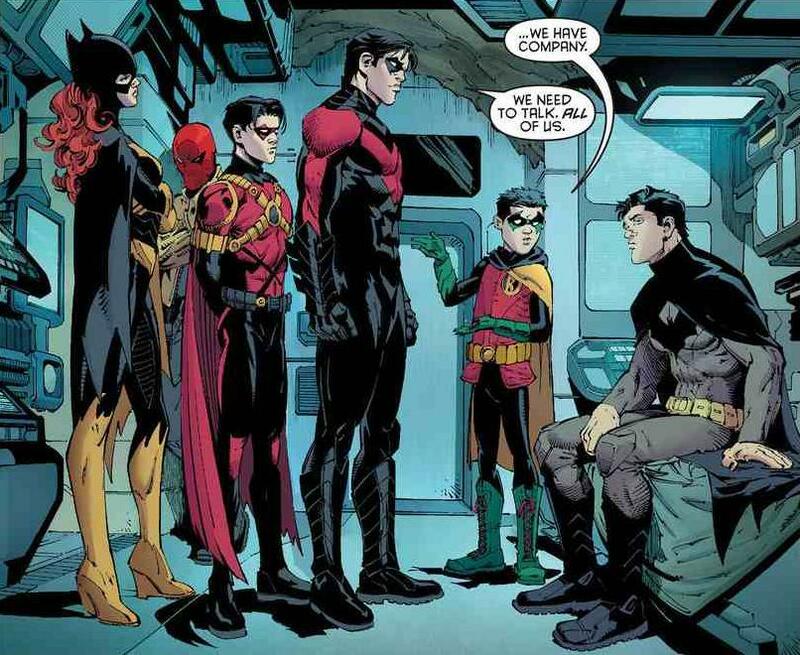 Not only is it concerning his allies like Robin, Nightwing, and Red Hood, but also with the Joker. It delves into the symbiotic relationship of the two; the idea that they both need each other to justify their own existence. It’s another interesting view of arguably the most interesting relationship in all of comics and it’s done quite well here. 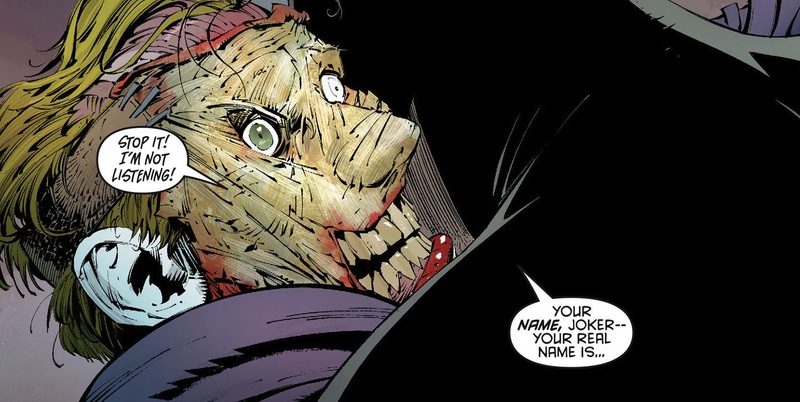 It’s nearly impossible to get the Joker wrong, and here is no different. Here, he has a fantastic character design, which is what drew me to this series in the first place. He’s unpredictable, psychotic, and puts Batman on the ropes better than anyone. He’s the perfect villain. This is another quality output by Scott Snyder and Greg Capullo. I’ll admit that I was a little underwhelmed by it (I was expecting a more complete story from this volume), but I understand that this is a crossover event and merely part of a larger arc. I may go and seek out the other parts to the story somewhere down the line, but I’m not exactly clamoring to read through them. There are historical reasons to read the Batgirl and Red Hood and the Outlaws additions to Death of the Family, but it’s a bit of a Pandora’s Box situation. Suddenly, I’ll be reading five series just to get the full story on one event.